I love red cabbage, I think it has to be my favourite in salads. 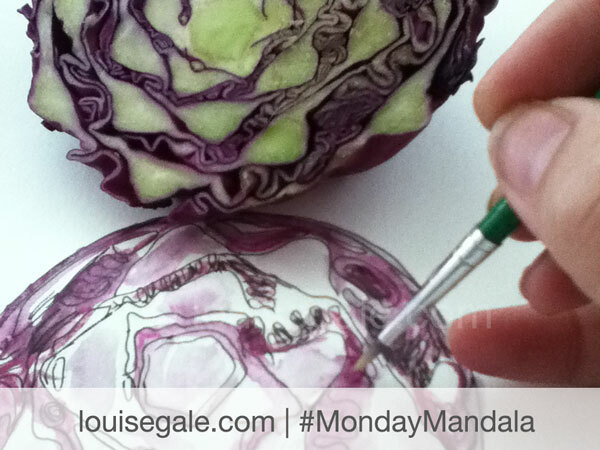 Not only do I love the taste, but slicing the cabbage is pure eye candy. To see the beautiful Fibonacci design inside, it’s colour, each layer is unique and full of violet tones and hues. 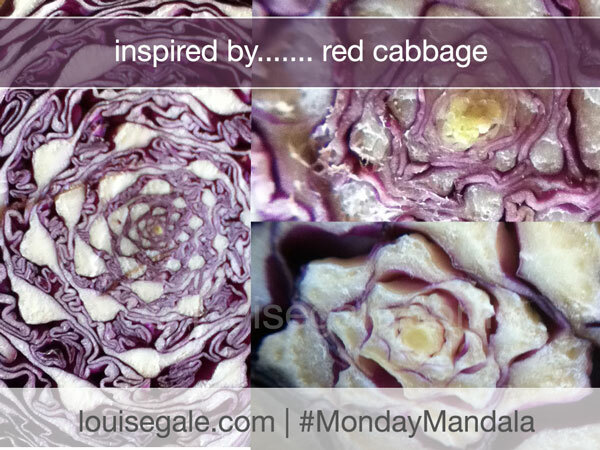 So today’s Monday Mandala is inspired by the red cabbage. 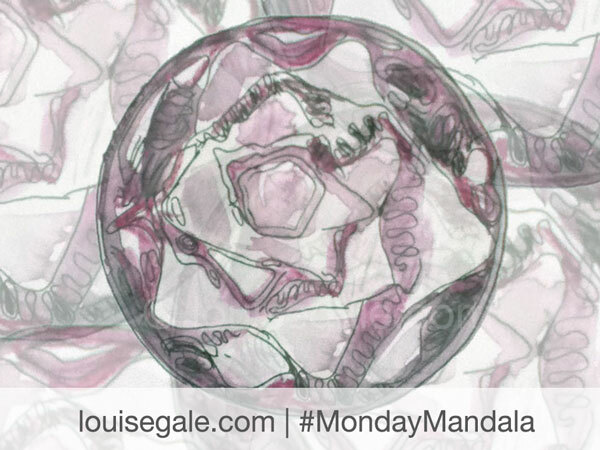 Every Monday, I share my inspiration for creating a mandala. If you missed the free class series, click here. I will share mandalas created with different materials and a variation of inspiration sources. Feel free to subscribe to my posts via email to get lots more color, nature and mixed media inspiration right to your mailbox. I also love mathematical sequences and patterns and know just what you mean by Fibonacci sequences , I confess I get quite excited too! Love your mandala. Beautiful! My last blog post had a red theme too!